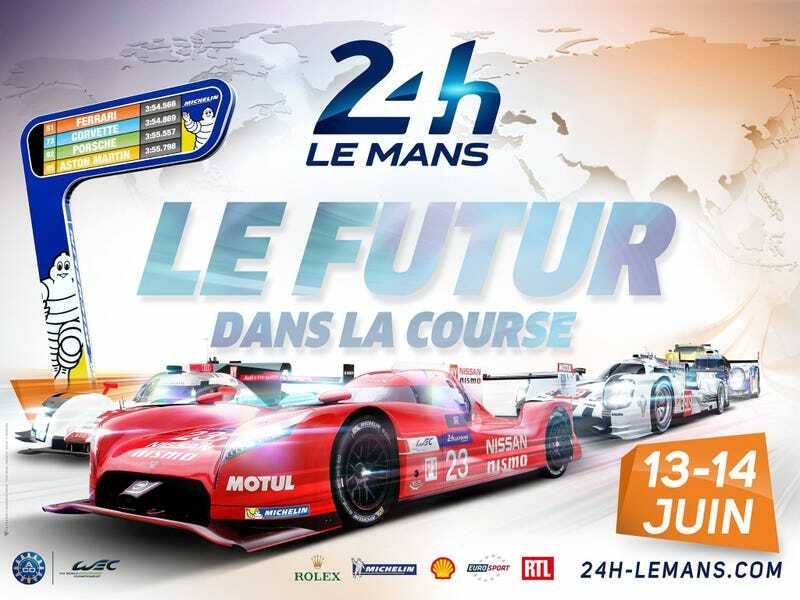 Le Mans lords ACO today held a presentation regarding the Le Mans starting list. 56 grid spots are handed out each year, and demand was high. LMP1 had no actual surprises on offer. Nissan, Porsche and Audi each run three cars, Toyota kept it at two. The former Lotus P1 is now called ByKolles and will face two now AER-powered Rebellion R-Ones. Nissan so far only announced four drivers, so another five will get their chance. Oh, and Porsche filled their third car with youngsters, not F1 pilots. LMP2 turned out to be the huge field it was expected to be: 20 cars, all very equal in performance. Winning this is a true accomplishment, it will probably come down the the skills of the paying amateur drivers. Former ALMS and TUSC participants Krohn and ESM are part of the show, too. GTE-Pro is going to be the tight battle it always is (unless the Astons get crazy BoP waivers again). It's essentially the WEC participants combined with the Corvettes. GTE-Am is a paydriver festival. Dempsey is there again, and so are a bunch of 458s that will definitely crash into P1 cars. It's a rule of WEC racing. Usually, some of the entrants drop out for one reason or another: missing finance, crashes that destroy the car, inability to find drivers. As soon as one of the invitations is not taken, the Riley Viper is the first one to take over a spot, either in GTE-Am or GTE-Pro.